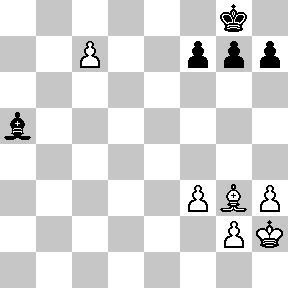 The game of chess is played between two players: one player controls white pieces, the other one control black pieces. The player playing white pieces is typically referred as White. The player playing black pieces is typically referred as Black. The game is usually being played on a chess board. Chess board is composed of 8 x 8 grids of 64 equally sized squares which are alternatively light (white) or dark (black). 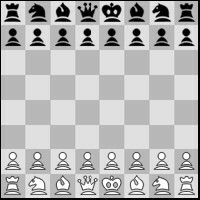 The chessboard is being placed between two players in such a way that black square is on the left side of a player, playing white pieces. The horizontal rows are called ranks. There are total of 8 ranks: 1st, 2nd, 3rd, 4rth, 5th, 6th, 7th and 8th. The vertical columns are called files. There are 8 files on the chess board: A, B, C, D, E, F, G and H. The straight line connecting two squares of the same color “corner to corner” is called diagonal. 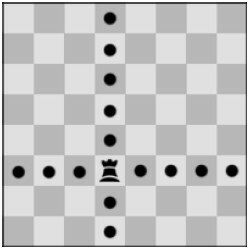 At the beginning of the game one player has 16 white colored pieces; while the other one has 16 black pieces (see the diagram above). Here is a list of all chess pieces with their names and symbols. The player playing with white pieces starts the game. After the white moves, player playing black has a right of move. It is not permitted to skip moves. If it is a player’s turn he/she must make a move. It is not allowed to move a piece on a square, which is already occupied by the piece of the same color. 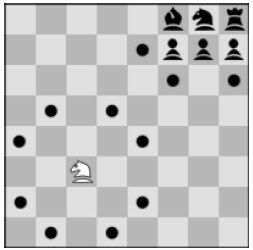 If the square is being occupied by a piece of opposite color (opponent’s piece), then placement of a piece in place of opponents piece is called “capture”. The opponents piece is being removed from the board and the opposite colored piece is being placed on that square instead (as a part of the same move). The objective of the game is to place the opponent’s king under attack in such a way that there are no legal moves for opponent. This is called checkmate. 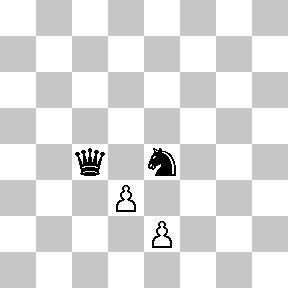 The player who checkmates opponent’s king wins the game. In a position when it is not possible to checkmate the king, the game is drawn. Bishop is a long range piece that can move anywhere along the diagonal on which it stands (diagonally). Light squared bishop cannot ever get on the dark squared diagonal. Bishop is worth 3 points (1 point ~ 1 pawn). Here is the example of light squared black bishop. In the center it covers 14 squares. However, bishop’s best placement is usually on the flank on open diagonal: it cannot be easily attacked and it controls a lot of squares. Queen is the most powerful piece on the board. 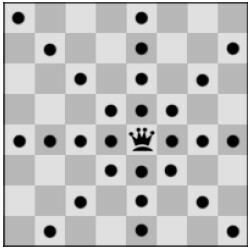 Queen can move to any square along rank, file or diagonal on which it stands. 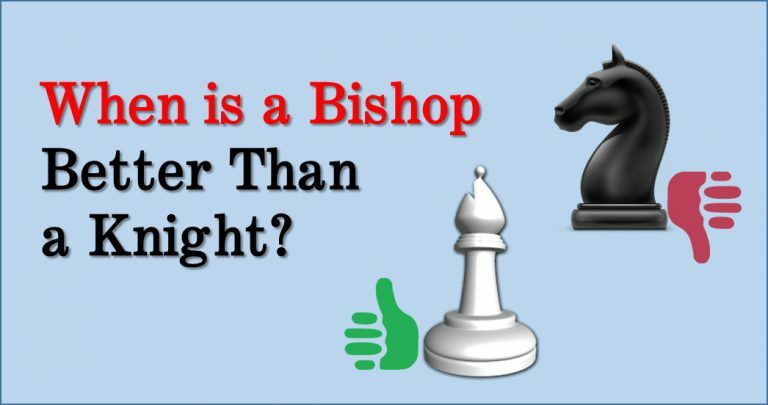 You can think of a queen as a piece that combines powers of both: bishop and a rook. The queen controls 29 (!!) squares of the chess board while placed in the center. Queen is worth 9 points, or sometimes even 10 which approximately equals to 2 Rooks, Rook+Bishop+Pawn or Bishop+Bishop+Knight. Knight’s moves are “L” shaped. 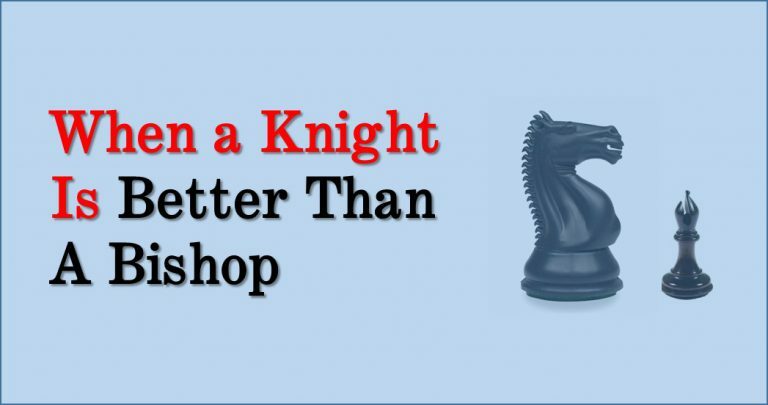 Knight is a unique piece in a sense that it is the only piece in chess army that can “jump” over all other pieces. The diagram below shows that black knight can get to h6, f6 or e7 by jumping over g7 or f7 pawn. The centralized knight is a lot stronger than knight in the corner since it controls 8 squares in the center but only 3 while in the corner. Knight is a short range piece, but is worth 3 points like a bishop. The pawn is the weakest and the least valuable piece in a chess army. “Bad is a soldier that doesn’t dream to become a General” saying perfectly applied to a pawn. 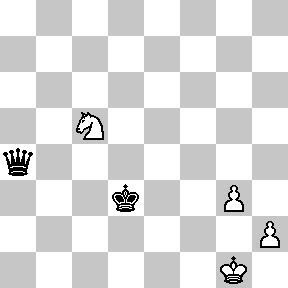 If a pawn gets to an opposite end of the board it can be promoted to any chess piece, even the queen. Pawn can move to one square right in front of it if it’s not being occupied by any other piece. On its first move pawn can move as described above; OR it can move two squares ahead if both of this squares are unoccupied by any other piece. 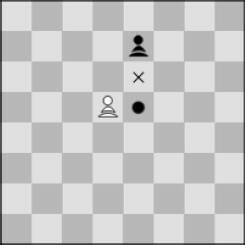 The pawn may move to a square occupied by an opponent’s piece, which is diagonally in front of it capturing that piece. A pawn attacking a square crossed by an opponent’s pawn which has advanced two squares in one move from its original square may capture this opponent’s pawn as though it had been moved only one square. This capture is only legal on the move following this advance and is called an `en passant` capture. We looked at the “pawn” previously and know that even though it seems like a weakest piece on the board it is definitely a very important one. First of all because it is the most common piece on the board: there are total of 8 pawns for each side in the beginning (but only 2 bishops or knights). Second, the pawn is the only piece that can become a queen or threaten a promotion (we’ll talk about that below) Pawn is often is being compared with a solder in an army. I like to think of pawns as landscape and a solder at the same time. Pawns are being compared to landscape because they dictate the nature of the game. Pawns set the space for piece maneuvers. For example, if position is closed the knight is favorable minor piece, if open – bishop is better. The general rule of thumb for pawns is: closer a pawn to a promotion square, stronger the pawn is. There are some exceptions or extraordinary circumstances when this is not true (i.e. king and pawn endgame draw), but generally it is the case. 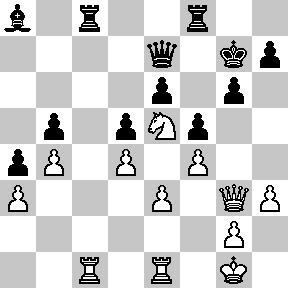 In this example white pawn is getting exchanged for a black knight, which is a good deal for white! In some cases pawn does not have to fork pieces to get exchanged. At the diagram above white pawn threats a promotion to a queen on c8 with mate. Therefore black have to give up material: take pawn with a bishop 1…Bxc7 2.Bxc7. White’s knight captures black’s queen for free and white wins the game easily.